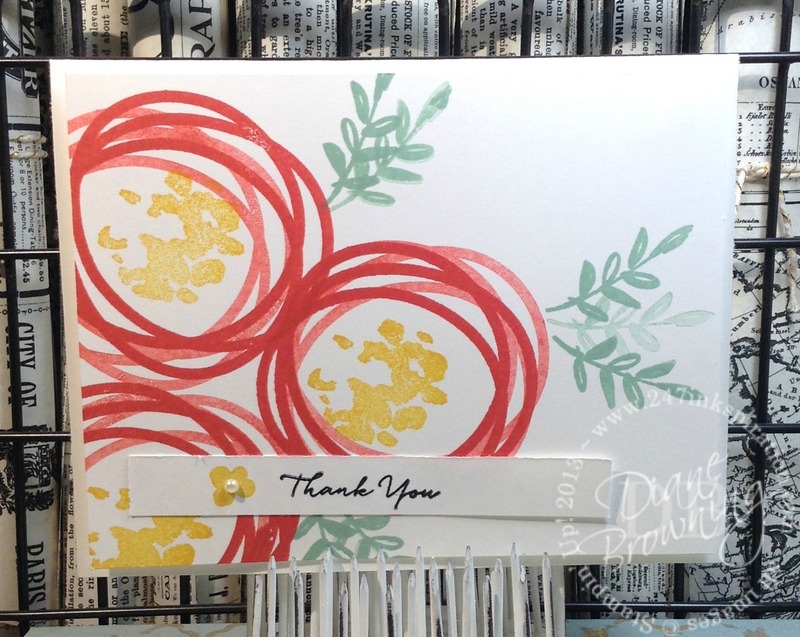 Can I tell you how much I love making super quick and easy cards? Today’s Five Minute card was inspired by one I found on Stampin Up’s website. 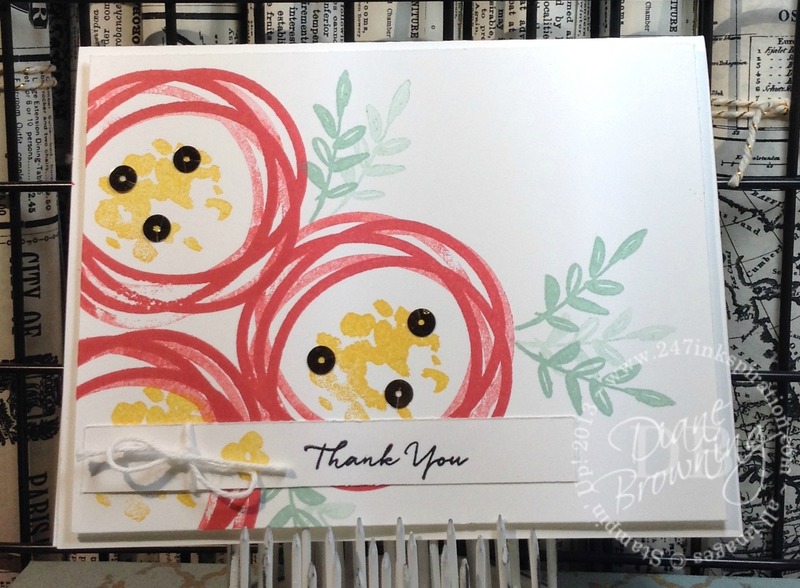 I can’t remember the name of the person who shared her cute sample but I loved how she made flowers by combining the scribbled circle from one set with flower petals from another set. In fact, these cards are so quick to make, I’ve now made about a dozen of these. Plus they are flat which is perfect for mailing! Wondering how I got the circles in two different colors? I inked it once in Watermelon Wonder, stamped it, and then stamped a second time without reinking. That’s how you get that two-tone look, which adds some nice depth to the flowers. I used the same trick for the Mint Macaron stems. 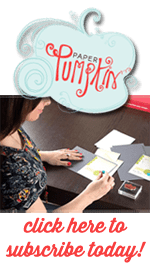 I decided to use this same card idea but step it up a notch for this month’s swap at my Downline meeting. They got their card last night, so I’m free to share it today (I hate to spoil the surprise before they get it in person). This is the same exact card, but I added the gold sequins and yes I pulled them off the roll and glued each one down individually. I also tied a bow with the White Baker’s Twine around the sentiment. So, you’re probably wondering why the second one didn’t make the “Five Minute” cut. Well, it took me five minutes alone to tie that stinkin’ bow and frankly it’s not even that great a bow! And the Fine Tip Glue takes several hours to dry completely, which of course means it’s not technically done within the “Five Minute” time frame. Although you could leave off the bow and you’d be able to do the sequins in five minutes (plus 4-6 hours drying time). Anyway, if you had to make it and mail it immediately, just do the first card.